Defence Minister Avigdor Lieberman had pledged to build 400 new homes in the settlement in response to the stabbings. 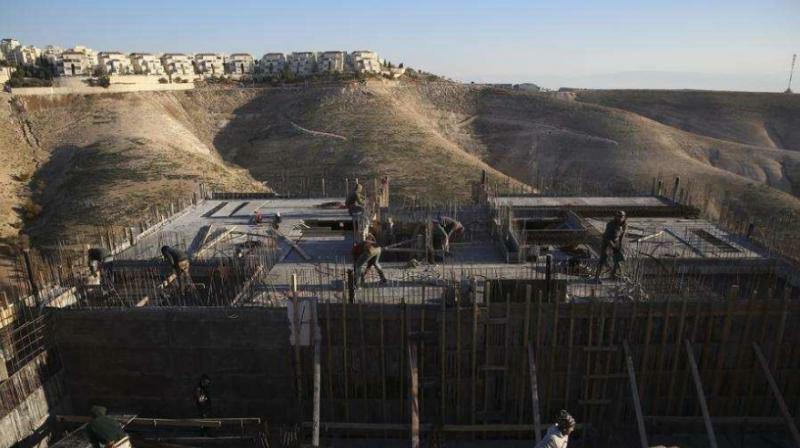 Jerusalem: Israeli authorities on Wednesday approved plans for more than 1,000 settlement homes in the occupied West Bank, the Peace Now NGO said, the latest in a raft of approvals since US President Donald Trump took office. The plans for 1,004 homes approved by a defence ministry committee are at various stages in the process. They include 370 housing units in the Adam settlement, where three Israelis were stabbed by a Palestinian in July, one fatally, said Peace Now, which closely monitors Israeli settlement building. Israeli settlements are considered a violation of international law and major stumbling blocks to peace efforts as they are built on land the Palestinians want for their future state. There have been warnings that the continuing expansion of settlements is diminishing any remaining hopes for a two-state solution to the Israeli-Palestinian conflict. Israel dismisses those arguments, blaming Palestinian intransigence, violence and “incitement” against it for stalled peace efforts. Trump’s administration has been far less critical of settlement building than his predecessor Barack Obama. Peace Now says West Bank settlement plans increased to 6,742 units in 2017 compared with 2,629 the previous year, Obama’s last in office.